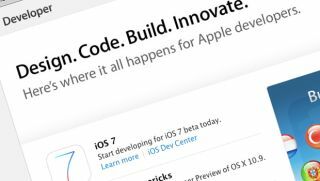 Apple developers now can get back to work on awesome apps for iOS 7 and Mac OS X after the company restored access to the online portal, three weeks after it was taken down following a security breach. As of Saturday morning, the developer.apple.com website was up and running once again with the company assuring its army of developers that all services were performing as normal. Apple has been slowly re-upping services over the last couple of weeks, following a short-lived attempt to bring the site back on line at the end of July. This time the restoration appears to be permanent. Apple has apologised for the inconvenience and extended all memberships by a month to compensate for the inability to access the portal. The hack took place in the middle of July and, while Apple assured its developers that no sensitive information had been compromised, it admitted some names, email addresses mailing addresses may have been accessed. The company also announced it was rebuilding the system database while combatting the breach. It appears all of that work as now been completed. Is Apple's iOS 7 the Frankenstein's monster of the smartphone world? Come on, Apple. Admit it.